In every employee’s work life at times they think that they wouldn’t want their boss behind them for every single minute everyday in the workplace. When the boss or the manager is out travelling then the employees receive complaints at all times regarding last minute details and tasks to be done. So whenever the boss or the manager isn’t present in the workplace the employees should really function well together and make sure that everything is happening in an effective manner. 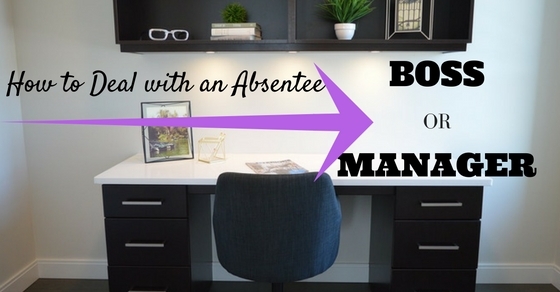 So when it comes to a time when the boss or manager is absent from the workplace then the employee should consider following these points which have been mentioned below. When the boss or the manager is away from the workplace it is necessary that both the employees and the manager or the boss have proper and effective communication between one another. If the boss may want to pass some instructions to the employee or know what is going on in the office at the moment then the employee should do that well by conveying the message to the boss. It is obvious that a person working in an office will make and receive a number of calls from time to time. But the employee needs to know that in the absence of the boss or the manager, if any calls are made by them they should be given top priority and answer them immediately. Even if they are busy on the other call, they should alert the receptionist to inform them if their boss calls them up, so that they can talk immediately to them. If a call has been missed by the person in the workplace from the boss or the manager then they should wait a while maybe for about 10 to 20 minutes before calling the boss back. The boss may leave a message with a number so that the person can reach back to the boss later on in a while or the person can inform the receptionist who is going to pick up the call to tell the boss to leave a phone number and a time to call back later on. For answering immediate phone calls, a cell phone is the best way to communicate with one another. So the person should also have a personal cell phone with them only for communication purposes with their boss or manager when they are away so that the proper level of communication is maintained and all the necessary instructions which need to be conveyed are done properly with one another. It should act as an instant hotline to contact the boss whenever needed. When the boss or the manager is away from the workplace the employee should know that they will receive phone calls from them to give them certain instructions. So the employee should not make or entertain any kind of personal calls from their friends or family at this time on their cell phone as it may lead to missing the calls from the boss or the manager. And it is never a good idea to mix the personal as well as professional life of an individual. Whenever the boss or the manager are out of town or not in the work place the impression that is created on the employees in the work place is that they will help each other in their work. But this shouldn’t be the case as the person might take advantage of the situation and hand over their work to someone else. So at the beginning itself, it is very much advisable to establish certain boundaries between the other employees so that everyone can carry out their work properly. Whenever the boss or the manager is away from the workplace, every employee should make it a point to make a schedule involving their daily tasks to be done in the workplace. This refers to them maintaining certain things such as the number of coffee breaks taken as well as knowing the number of things to do in the day which should be strict enough so that nothing negative happens when the boss isn’t present and the tasks shouldn’t get carried forward. It is advisable that when the boss or the manager is not around, the person shouldn’t do any major unnecessary favours for their fellow colleagues. If there is something small involved such as providing a suggestion then there is no harm in helping out but if the request is much bigger then it isn’t advisable to do it as at that moment the tasks that need to be done by them would be delayed. So the person must just let the other person know that they do not have time for it. With the boss or the manager not around in the workplace there is no one incharge. But when it comes towards taking orders regarding what is being going on in the workplace, if these orders are big then they shouldn’t think about listening to other employees or colleagues. Even if they indirectly mention that the boss has told them to tell this, still make it a point to first confirm with the boss that this order is in fact given by them and then only it should be implemented. The boss or the manager not being around in the workplace needs to be known by the employees that they shouldn’t keep any kind of tasks for the last minute and see that everything is happening in an effective manner. Whenever there is a certain task which is important and the deadline approaching, the person should look forward to seeing that this is completed as fast as possibly more importantly in the absence of the boss or the manager. When the person is being monitored on an everyday basis by a boss or manager, the employee knows what are the daily things and tasks which need to be accomplished by them. But in their absence it is a great way for the employee to monitor their behaviour in the workplace to see whether there is any change in their work behaviour and still maintain a level of professionalism and show that the employee can still work well. The time that is present when the boss or the manager is absent in the workplace needs to be used effectively and wisely so that no problems are caused. The person should realise that no kind of tasks such as taking long coffee breaks or taking a long lunch break should be done as the work can be further delayed. So the person should act smartly in the absence of their boss or manager and ensure that their time is used wisely. Whenever the boss or the manager are around looking over the work going on, every employee present in the workplace tend to show level of discipline at all times so that they can carry out their work properly. But they should have the same attitude and discipline when it comes to the boss or the manager being absent from the workplace so that nothing bad can happen, when it comes to finishing the work that is yet to be done. There are responsibilities on the person even when the manager or the boss is present around them but at that moment the responsibilities on the boss or the manager are much greater. So in their absence in the workplace the responsibilities on every employee increases and thus they should realize this and not act in an irresponsible manner other wise the functioning in the workplace won’t happen in an appropriate manner. The meaning of taking an initiative in the workplace is doing things without anyone telling the person to do it. This kind of quality should come out spontaneously from the individual so that whenever any kind of situation may come up in the workplace, the person does not panic and tries to solve the situation as fast as possible. Taking an initiative really helps even the boss realize that the person is really talented in the workplace and can handle any kind of situation which comes their way. Whenever the boss or the manager are present in the workplace, every employee look forward towards completing all the tasks well and laying a good impression of them on the boss. They should even do this when the boss or the manager are absent from the workplace as this motivates them to work more hard and working in this way will even let their boss know that they can rely on these employees when they aren’t physically present in the workplace. It is most likely that before the boss or the manager are away from the workplace, they will assign their employees the tasks that needs to be done in the expected time and what are going to be their duties in the absence of the boss. So the person should realize that these are the duties that need to be fulfilled and carried out by them so that no misunderstandings happen between the boss and the manager and the employees and it can be done much faster if the boss or the manager lets the employees know in advance about it. If the employee knows that the boss is going to be unavailable for most of the times so the employee needs to develop a set of organizational skills and take it as a big priority. The employee should know that every person in the workplace is in contact with the boss whenever it is needed and know that everything is happening clear enough. When a person starts getting organized then they will not have too many follow up questions with the boss. This skill within a person is also known as being a proactive individual. When the boss or the manager is absent from the workplace they should know that they need to handle this is by showing that they are productive in the workplace and need to take decisions by themselves. But right type of decisions should be taken so that they can lead in the front by example and perform to the best of their ability in the absence of their boss. In the absence of the boss or the manager at work, it motivates the individual to lead by example in the workplace. But at a time this will be all new for the employee as it would be a new situation in the workplace. So it would be a great idea for the person to first look forward for opinions and suggestions from the other people present in the workplace so that later on if any mistake is committed by them they shouldn’t wait until their boss arrives in the workplace. So basically it is known that in the absence of the boss or the manager in the workplace it is expected that each of the employees need to manage the things going on. It should be their responsibility and know that they have to take charge in the workplace and know that everything should happen in a proper way.